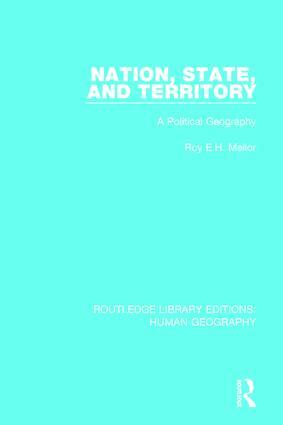 This detailed analysis, originally published in 1989 studies the relationship between nation, state and territory. It explores the evolution of nations and the development of the state idea. Consideration is given to the frontier, s the interface between states, the influence of defence requirements, and the dilemmas involved in organizing the internal territorial-administrative arrangements of state territory. Finally the book reviews the geographical problems of empires, in growth and decline, and the impact of international organizations among states. Throughout the book, the themese are given an historical dimension and are supported by numerous maps and examples.